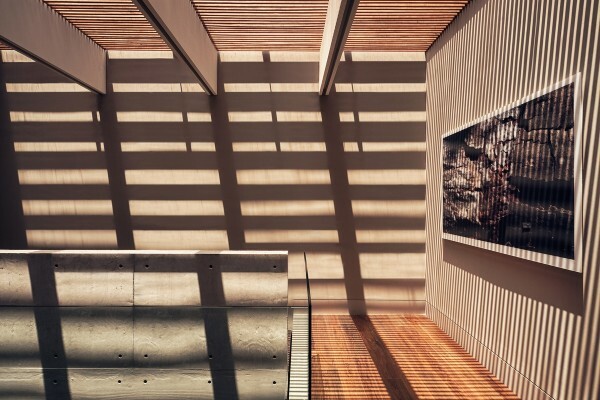 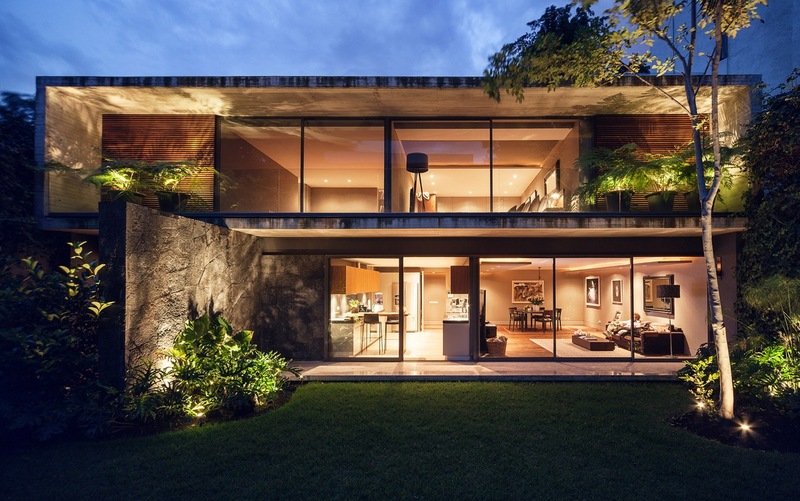 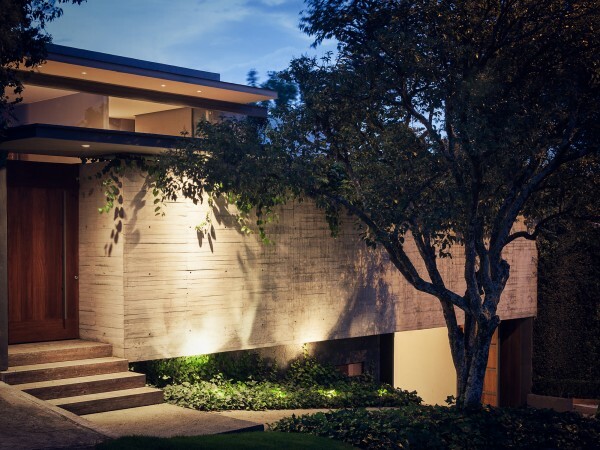 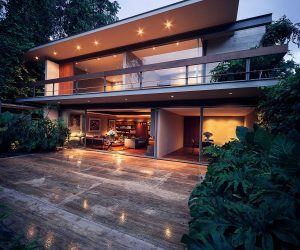 This stunning home from architect José Juan Rivera Río is located on the outskirts of the Mexico City sprawl. 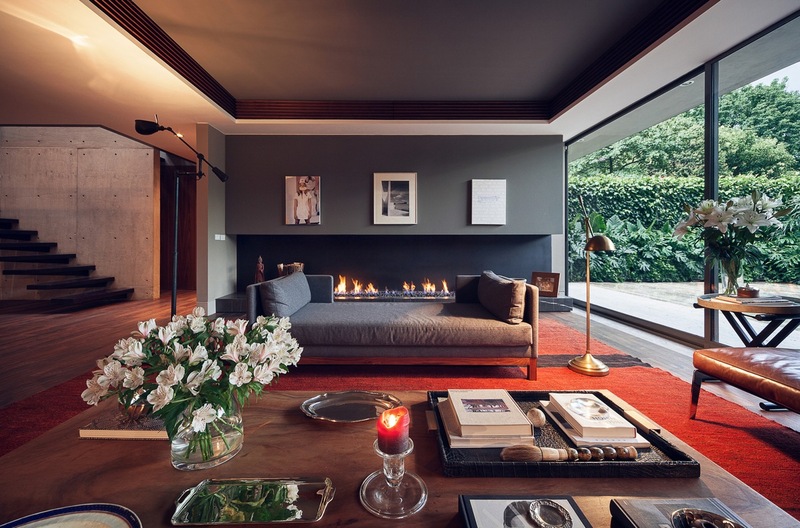 Built in 2014, the home takes its inspiration from the modernism of the 1960's but puts its own beautiful modern twist on the style. 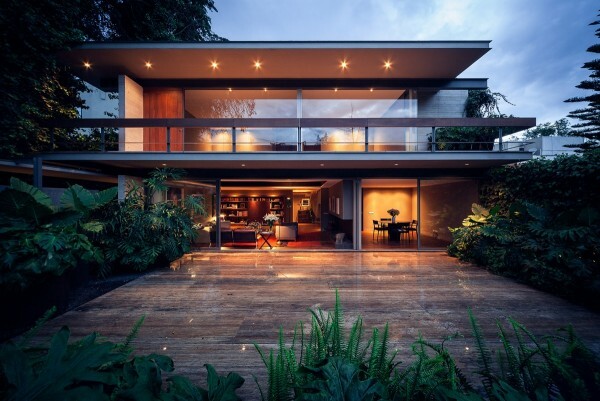 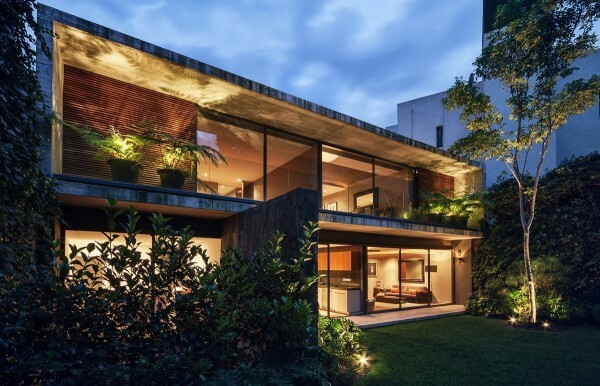 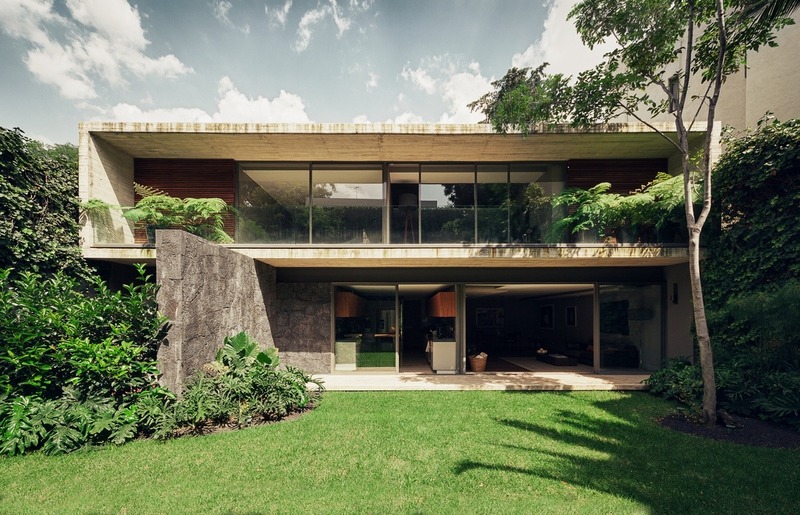 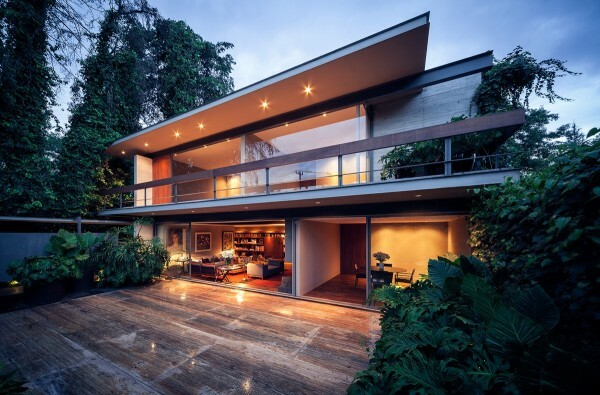 Located on the outskirts of Mexico City, in the Lomas de Chapultepec neighborhood (or colonia), the house is striking from all angles. 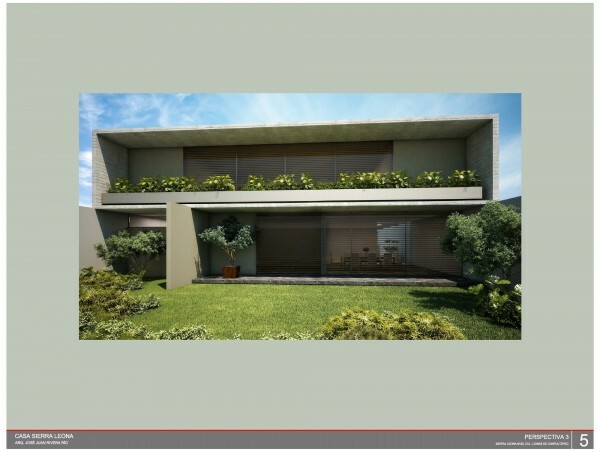 An expansive courtyard in the front of the house is made possible due to its locale, two and a half meters above street level. 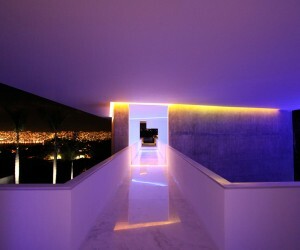 Lights from the overhang illuminate both the wraparound balcony and the stone patio below. 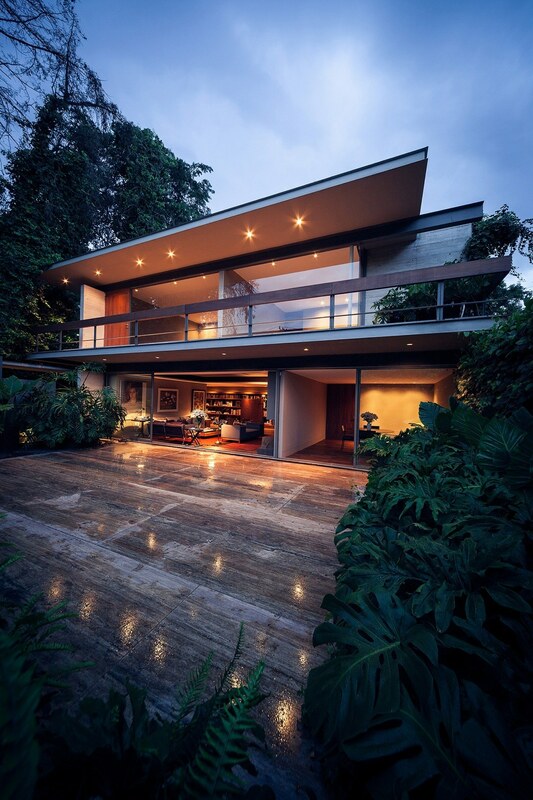 The flat roof and angular construction are striking, making it easy to lose track of where the outdoors end and the indoors begin. 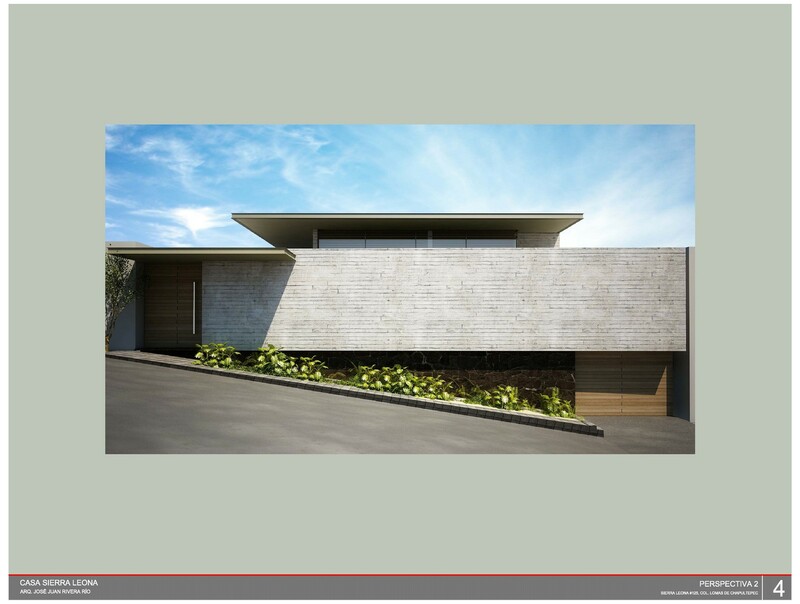 Here we can see the carefully chosen materials – here stacked concrete blocks – and how they manage to create even more visual length. 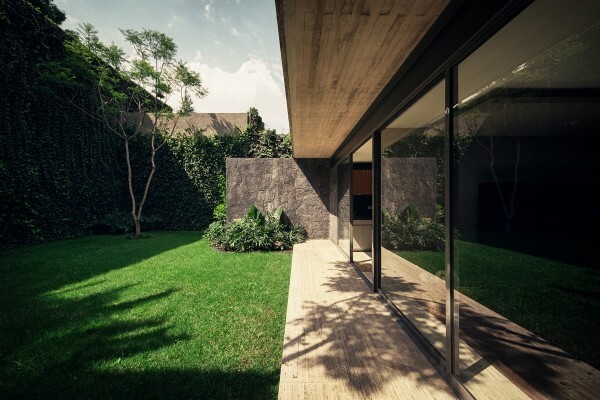 An impeccable manicured lawn is just one more sleek feature in this meticulously designed home. 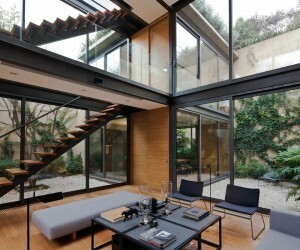 Inside we can see where the architect took cues from the modernism of the 1960’s with this expansive open living area. Wide, low sofas, coffee tables, and even fireplace invite guests to stay and lounge as long as they like. 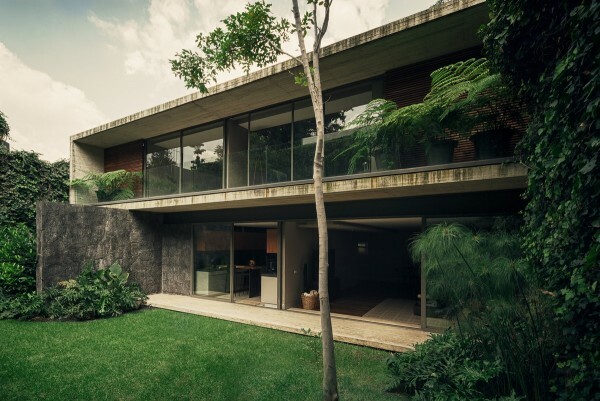 Trees and vines climbing up the exterior walls create a safe and private space, despite nearby neighbors. 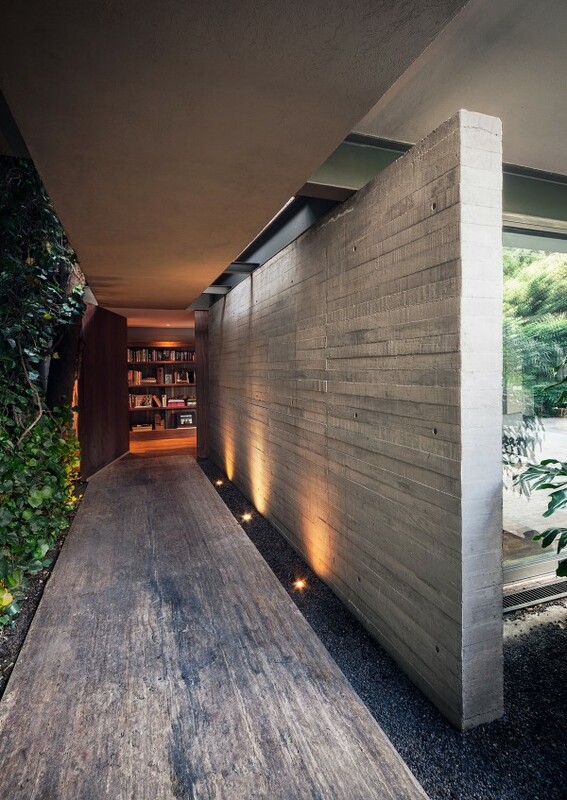 Even potted plants on the second floor offer a clandestine atmosphere. 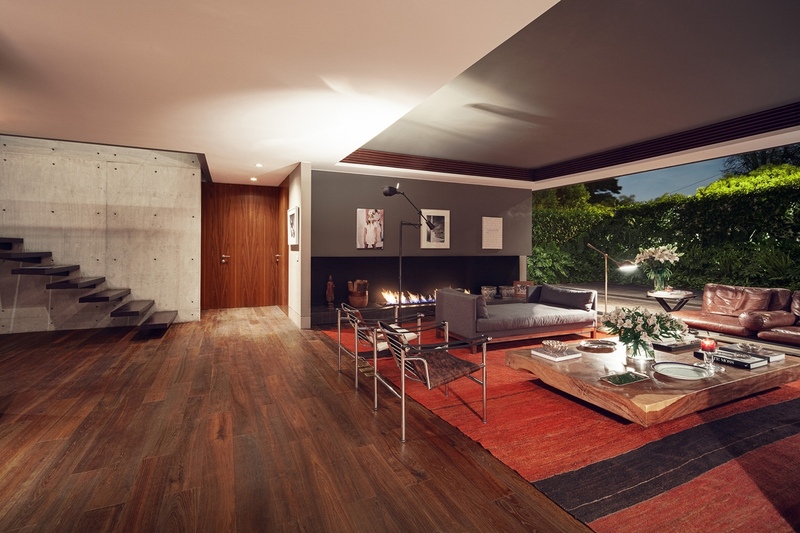 At street level, homeowners can access a basement living area through the garage. 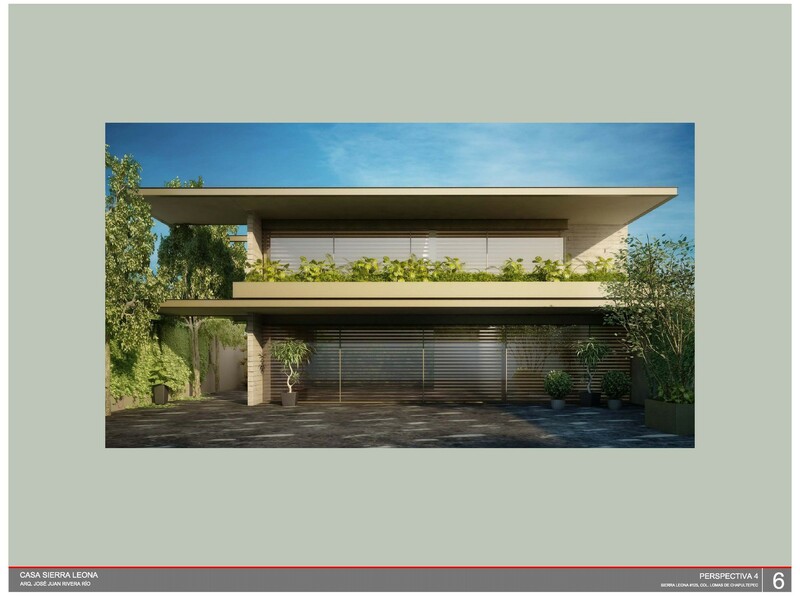 The front entryway is beautiful but not entirely welcoming as it is completely free of windows, further contributing a feeling of privacy. 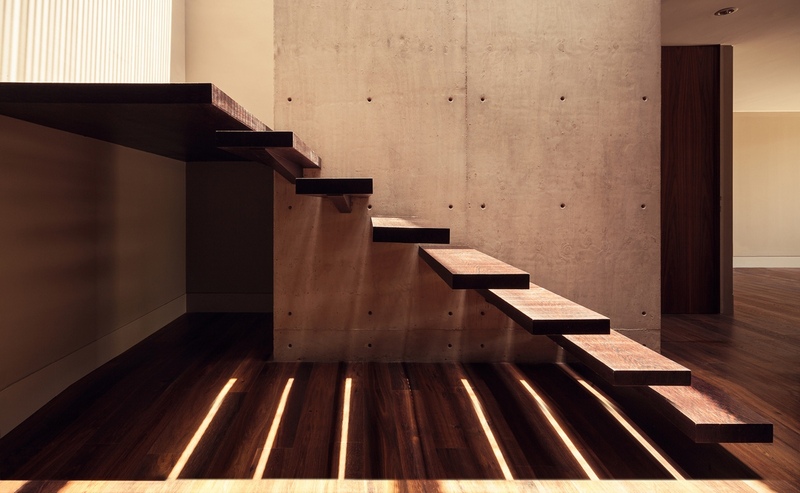 Inside, a floating staircase is just one more ultramodern touch. 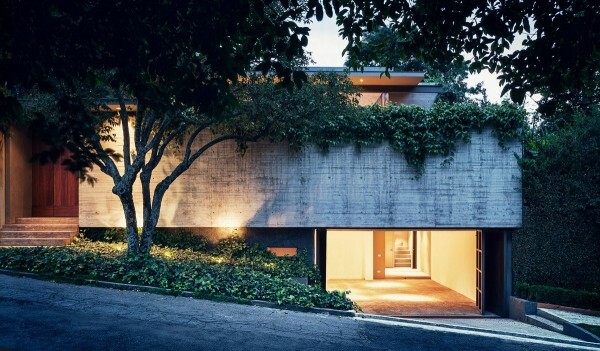 At 650 square meters (nearly 7000 square feet) this home lie somewhere between sprawling estate and modest home. 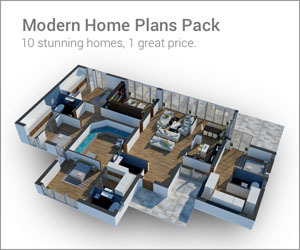 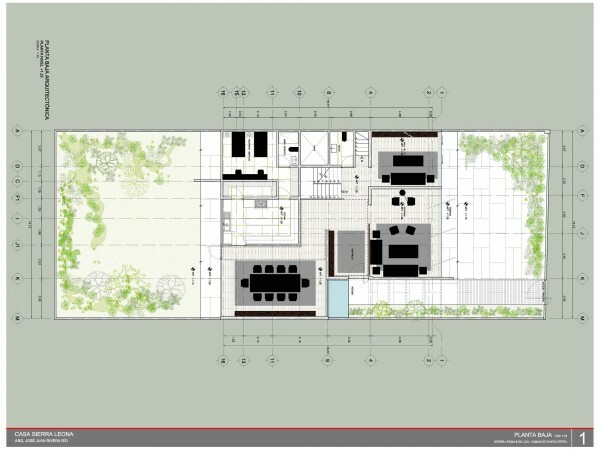 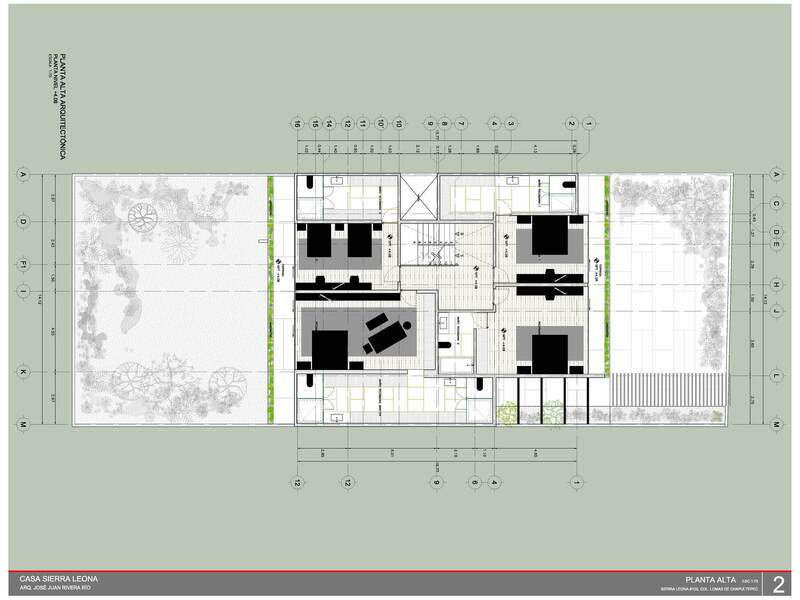 But from the floorplans, you can clearly see how each area and element has its place.